BlackBerry is in need of a game-changing new strategy to lift it out of a downward spiral, claims Dr Ronald Klingebiel. Ronald Klingebiel researches decision-making problems under uncertainty. This comprises, for example, resource allocation strategies in innovation processes as well as dynamic approaches to strategic planning. The phenomena of study are inspired by Dr Klingebiel’s background in strategy consulting, which includes stints at AT Kearney, BearingPoint, and Capgemini Consulting. As Director of the research Centre for Strategic Studies, he worked closely with executives in the telecommunications industry, be it handset manufacturers like Sony or service providers like Orange, delivering research projects, advisory and executive education. Besides corporate projects, he has also held research grants by the UK Economic and Social Research Council and the European SEEK Programme. Dr Klingebiel’s PhD is from Cambridge University, and he has held visiting positions at Columbia University’s Graduate School of Business, MIT’s Sloan School of Management, and Duke’s Fuqua School of Business. An Assistant Professor of Strategy at Warwick Business School, who has researched and consulted the telecoms industry, he is also a regular visitor to emerging markets, particularly Africa, where he contributes to building capacity for management and entrepreneurship education. According to Dr Klingebiel, the Canadian company saw its shares plunge after reporting an $84 million (£55 million) loss for the three months to June 1. It was better than the $518 million (£319 million) loss for the same period last year, but still much worse than analysts’ forecasts. BlackBerry also warned it would post an operating loss for the next quarter and the once trend-setting handset-maker is finding it hard to compete in the competitive smartphone environment. Dr Klingebiel, believes the BlackBerry management have to make some tough decisions to change the company’s fortunes around. Whatever little time there is left before the last corporate clients abandon the BlackBerry package, the company should use this time to refocus on its core strengths in its BlackBerry Enterprise Service (BES), potentially at the expense of abandoning their device portfolio,” said Dr Klingebiel. “Some recent activities show that BlackBerry could be thinking in this direction. Most notably is the release of the Secure Work Space app that allows iOS and Android users to benefit from their BES 10.1. “BlackBerry Balance should be extended to non-BlackBerry devices too. It is in this new area of mobile device management, including mobile app management and secure connectivity that BlackBerry’s greatest prospects are, where core competence meets reduced competition in a new and growing field. “Providing device-agnostic services to corporate clients thus may hold the greatest potential. But will BlackBerry’s management be courageous enough to abandon a former mainstay in devices? Given its seemingly inevitable decline, drastic bets on the strategic direction of the company seem in order.” BlackBerry launched two new smartphones this year in the Z10 and the Q10, but that hasn’t been enough against big hitters Apple and Samsung and so Dr Klingebiel feels it should move away from that battle. “As part of its turn-around attempt, BlackBerry has updated its device portfolio, its operating system, and the enterprise server (BES), staving off some of the potentially rapid decline of a once leading company,” said Dr Klingebiel. “Nonetheless, BlackBerry is solidly in follower mode, at least as regards devices. 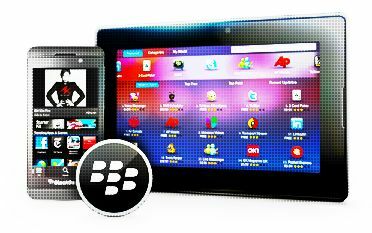 The Q10 and Z10 are devoid of revolutionary features that might put BlackBerry back into the driver seat. The device industry is increasingly consolidating, with a few big manufacturers sharing all the spoils. “Furthermore, BlackBerry does not seem poised to win the tightly contested race for third place in operating systems (OS), behind iOS and Android, as it needs to fend off not only Microsoft but also Tizen, Ubuntu, Firefox OS, Sailfish and more new entrants. “The main reason why BlackBerry has not yet crashed and burned as badly as some other former competitors is its enterprise server. Business clients have hesitated to abandon the secure working environment and efficient integration that BES offers, even if the BlackBerry handset experience is lagging. Dr Ronald Klingebiel teaches Advanced Strategic Management on the MSc Marketing & Strategy course and Strategic Thinking: Strategic Evaluation and Analysis on the Warwick MBA by full-time study. How will you ensure Privacy in The Post-Snowden Internet?